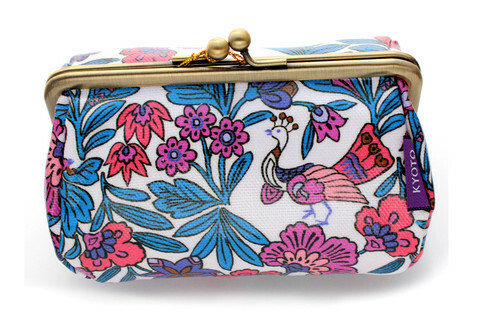 The Seisuke88 Cosmetic Bag is a multi-purpose case that can be used as a small purse or to hold makeup and other personal items. The fabric is coated making it easy to clean with a damp sponge or cloth. Seisuke88 products are recreated from original Kimono prints discovered in an old warehouse and untouched for over 150 years. These traditional patterns are translated today into functional and modern accessories. Size: 5.5" x 4" x 3.5"